It was only after I mixed the herbs together that I realized nettle is an uncrossing herb not a protecting one. Will there be sideffects if I leave nettle in the bag? You have other uncrossing herbs in the bag so, I am confused. Miss Aida, I put those herbs in the bag the doll sleeps in so he will be protected through the day until the next bath. And after the 13 days of bath are done, I intended to keep the doll in the bag so my ex stays protected. I thought "ward off evil" was the same as protection?! Can I pick out the devil's shoe string (I used the whole bag and don't have more) and start again? 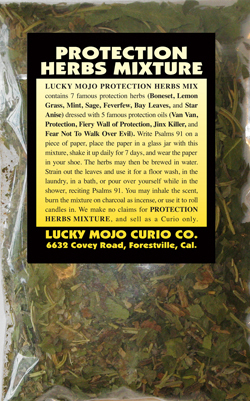 But, when you are finished with the baths, mix new herbs for the protection only. I had a reading Recently which reveled that a evil person that Ive entrusted have been since my youth placed a curse on me to block finance and love life. It was stated that this individual will continue until stopped. why do I believe the reading is valid is I'v had several dreams Showing me this particular person for instance, the dream came in as we were laying in the bed together. Remind you I am a sleep but also understand that the spirit is showing me a vision. So as we where laying asleep I anticipated she was going to ask me to go to the store and get her some medicine,that just what I picked up from her spirit but instead she said go to the store and get her a picture! I could hear that she was sick by her voice,when I turn to look at her as if she lost her mind for saying picture after I anticipated her saying medicine once I said no I am not going to get no picture. Within 3 seconds we where fighting just like that cartoon when you see them tumbling around in a cloud of dust. I tell ya them spirits move fast and are strong and the only way I won that round was I noticed that I had to focus along with calling on the angles to help. I remember having it by the throat and was a lil scary because her eyes seem like they grew to the size of a 50cent piece of coin. I awaken and couldn't open my eyes for about a minute I was told that my eyes where open but they were all black where normally Suppose to be white. That was just one of the most extreme dreams i had of this person. Mind you a few months earlier this same person wanted me to steal this same picture from Someone house we were visiting and told her no. Date of dream 08/09/2010 or close around that time. Recent dream I was In what seem like a parking lot and this guy appeared about 30yrds in front of me after reading his body language as I got closer he pulled out a black hand gun As I got closer I could tell he was ready to aim at me so I grabe the gun to take it away while in motion it seems that he had something in his other hand and all of a Sutton I felt like I was being shot in my right shoulder with a Machine gun,then it started to feel like a constent beam hitting my shoulder as I was running away I remember thinking to myself as many times he shot me I'm not dead yet. Then I sensed running was not good,PROTECTION! At this point I'm tired of being sick and tired of being sick and tired. I have sat back long enough thinking thing's will work out on it's own. You can use white candles for anything ... but I would try to use a green candle for Steady Work if possible. Either way, you could put some Steady Work Oil on it. Prosperity herbs would be good... Cinnamon, Thyme, Nutmeg. I think Miss Cat once said Pumpkin Pie Spice has lots of Money spices in it. You could also just order a Steady Work Vigil candle, it comes already dressed, and burn that for the girl. I've never done a moving candle spell, so perhaps someone who has could jump in here ... but if it were me, I would use Naked People candles. I'd start with her candle and your guy's candles next to each other with his looking straight ahead and hers looking at him, maybe use Separation Oil and have hers turn away from his candle with her back to him and start moving away bit by bit toward a red Naked man candle ( representing her new love ). Use some sort of Love Oil from there on out between her and the new love's candles. That's just a guess. Best of luck. Just want to be on the same page,mind you this female is a family member. I was warned by several people that this certain person in fact will throw at you and does work aganst you. One of the people made me aware of her were two people that were close to her at one time but things didn't work out for them. My point is when you know for a fact after being beat across the head my someone and they have pictures of you and your kid's,what would be the wise thing to do? It is very true curse go unnoticed can really do damage. Maybe that was that cause of my near death experience multiple times. Surgery, and i am not the person to get sick. It felt like i was dying all times but when blood work comes back everything is always great. 5 visits to er 1 surgery that is not normal. Need the best advice because I'm sick of my enemies! I don't cause no one trouble I think people take my kindness for weakness. Oh My GOD !!!! That is TERRIBLE! FIRST AND FOREMOST: you need protection. Then, worry next about revenge. take care of yourself FIRST and FOREMOST!! Protection and strong harsh reversal is my plan. At what point should I cleans? would a strong revenge be wise or allow the mirror box to taken care of it? 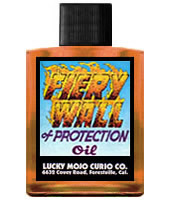 I have a quick question regarding the Fiery Wall of Protection oil and the Protection oil. What's the difference? There is not much literature on the latter. Your help is greatly appreciated. Fiery Wall of Protection fights off any and all potential threats, whereas Protection will fight off a specific direct threat. You can choose the right formula for your situation. They both work great, just differently. Just looking for some general advice... I have recently bought a home and moved in three weeks ago with my family. Older brick home on 5 acres in a very small neighborhood (only one street/ bout 12 homes). We have 2 medium sized dogs which we have allowed to rom around and explore (well behaved and not aggressive at all). We have met one neighbor who came and introduced himself when we first moved in and with the holidays and unpacking I have yet to get out and meet the others. My problem is 2 weeks ago a dead bird was left on my front porch. I let the dogs in so I know they didn't have anything... a week later a whole chicken was found by my dogs in my front yard and I was able to take it away from them before they ate a good portion in case it was poisoned... and this morning a dead squirrel was left on the front porch. I am trying to keep my composure and not go bang on every neighbors door and chew them out, but I am wondering if someone may be throwing at us. In divine timing, I received a bottle of "reversing oil" from the LM Facebook Fridays giveaways and it was put to good use today. However, with the storms I haven't got my protection for the home in place yet... Advice for a quick fix? I'm planning of Fiery Wall 5 spots on the windows, knives buried in the corners of the property, powders and oils and brick dust for the property. I'm trying to not be paranoid and want to believe that someone just doesn't like my dogs. The neighbors will be met tomorrow when the hubby is home and I am more calm, but any additional advice would be greatly appreciated. What a bunch of jerks! Is this their way of trying to scare you off? Can you install a video camera? This doesn't sound like they are throwing (although I could be wrong) but trying to scare you. Happy new year everyone! Had a strange and short dream thought I'd get your input. I am waking up in a bedroom alone, surrounded by spellwork on the floor. There are bones, a yellowish candle with possibly crab shell around and what looked like salt and red pepper. I walk around examining the spells scared, not sure whether I did them or someone did when I was sleeping. That's it. It rang a bit of an alarm bell as my mum several years ago when I was a child, had someone throw salt and pepper in her bedroom and our dining table by a malicious relative. Where I come from, this spell is used to tear up families, which had negative consequences for my family. I didn't really do much negative work recently, except a hotfoot which worked. Most of the recent work had been positive, about drawing good employment and help for loved ones. Don't think I have any enemies doing any work on me but you never know. Had been lazy about protection recently....Would anyone have any interpretations or suggestions? Thank you all, and wish you a happy new year! konstanta, I'd do some divination on this dream, using whatever system works well and tells you the truth. If you're one of those who can't read for yourself, schedule an appointment with a gifted, ethical reader. Replay the dream from the point of view of each character in the dream. In this case, view each of the spells as a character, because these things are alive and awake. Backtrack through the dream and see the spells being put in place. Enter the mind of the person who placed them, to discover their motive. One thing I will say is that the use of crab shell signifies reversing work. It is possible, but not certain, that these works were laid down to protect you. Hi MissMichaele, thank you for your suggestions. Will look into the dream revisiting method, sounds very interesting. Regarding divination, I'm learning, but would probably be best to consult someone impartial and professional. Knew about crab shells being used in reversing but it didn't occur to me it might be laid down to protect me, thank you for that. There was also a big animal skull, like a bull or a horse. Do you know what this might mean at all? There's some people that has been harassing me for over a year. How can I put a freezer On them to get them to leave me alone? The first person, I know her first and last name as well as her nickname. The second person, I only know his first and last name. I just want them to stop harassing/bothering me. I don't wish any ill will on either one of them. They've been making life miserable and I want it to stop. Will the freezer spell work? Will it backfire on me? Please do not start new topics like this, when your query is already covered by an existing topic. I have merged your post into the appropriate thread. Please read through it for ideas and advice, as your kind of question has already been answered. You can also search the forum for "freezer spells" using the little search box at the top of the page, as there is an entire thread discussing just how to construct the spell you are asking about. If you still have questions after reading through these pages, feel free to ask here. konstanta wrote: There was also a big animal skull, like a bull or a horse. Do you know what this might mean at all? There are plenty of traditional associations with horses and bulls, but they vary from culture to culture; also, that animal skull might have a meaning for you or for an ancestor that would not occur to anyone else. Divination will show all that. I'm in need of some advice on how to change the dynamic in my current living situation. I have recently moved in with my boyfriend, and since then I've been fighting off co-dependency that is negatively affecting me. He has no job (parents support him at 33!) and I work from home, so he has significantly affected my work schedule. His codependency has changed the way I sleep, eat, and work. Since moving in I've gained 15lbs, stopped exercising, and my sleep schedule is completely messed up. I need to gain the upper hand in this relationship so I have the strength to lead by example, because right now I feel his engrained energy has infiltrated my own body and significantly weakened me. I love him and he does positively affect my life in many ways, so I don't want to breakup or move out just yet. How can I kill his influence over me and regain my personal strength and self-discipline, and how can I protect myself from slipping back into bad habits? We realize that you are new, so we ask that you do not start new topics and post in the correct subforum. It's appreciated. I want to do protection spells on a few people in my life, my children and siblings. My questions are how often do I need to do the spells? Weekly? Monthly? Can I do my children's spell together? and then my siblings spell together? Are there spells that will protect there lives against harm or death? After the protection spells can I follow up with blessing spells? First, how often depends on what your candle symbols show. And, if you can't read the symbols, then go with your feeling. If the protection spell weakens, you will just know it and will feel like either performing the spells again. OR get reinforcement by having a vigil candle set (you can do yourself or have MISC do it for you). Things will just start not going as well (little things) and you will just know. Yes, you can perform the spell for a group of people. Hello everyone, I was wondering what can I purchase to keep negative people away or keep negativity away from my mother. She wants something to help keep away harm because I know my mother gets a lot of hate when she goes to the gym or work. Hello, DulceAllen, welcome to the forum! FYI, I merged your question with this thread titled General Protection Spell Questions and Answers. As a friendly request, we ask that you don't start new topics on the forum, and instead post under the thread that's most relevant to your question. Here is a great place to start, there are a ton of protection spells on this page: www.luckymojo.com/protectionspells.html. If still have questions about how to best help your mom, ask away. And if she is getting harassed at the gym, she should also let security know—nobody should have to put up with being bothered while they're trying to work out. I am wondering what the fundamental difference between Fiery Wall of Protection and Protection products might be? 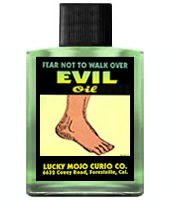 There is an extensive page concerning (http://www.luckymojo.com/fierywall.html), but very little concerning (http://www.luckymojo.com/protection.html). What circumstances are appropriate for there use? I am NOT asking for ingredients or other proprietary info. I am planning to do protection spells. I think Fiery Wall may be a bit more than I need, but am not sure. Reason: Found answer in another post I didn't see earlier. Hi there. I cannot find this anywhere so asking here. How can I protect my social media accounts from people who want to sabotage. And how can I protect my picture on these websites from being used for dark magick matters? I ask as over the past few years someone had kept on complaining about my Facebook profile for no reason till the point i got annoyed and closed it once and for all. I have also had to change my email quite a few times, as they seem to know enough about programming to send spam messages and other such things through my email. Now whomever it is who has access to my emails and etc, is doing the same with my linkedin profile. The only thin i am regretting is being passive about this. So i would like to know what I can do to first protect my profiles from all forms of sabotage, and secondly how go return these 'favours' to the anonymous person or people doing them. Facebook may be for fun, but linkedin is how you find a job to put food on your table so this is definitely where I am drawing the line. So in summary again, how do I protect my 'online' matters? I only have van van oil from LM as i wanted it this so bad and ordered thru a friend who brought it to me recently...but can order other things that may help in this case to. This is what I HATE about internet. Too many hackers. I am so sorry. But, please also talk to a professional who can help you with your computer issues. Let's say you live in a ghetto neighborhood with lots of violence. What would be a long drawn out spell to protect your house in the long term? Hello everyone I have a few questions pertaining to protection spells. Given the current climate and what's going in America, I feel scared as an African American woman, not just for myself but for my family and loved ones as well. 1. Which products should I use as a general protection methods for my family? I was thinking about Fiery Wall of Protection, but can it be used in conjunction with anything else? 2. As far as name/petition papers go, could I write a list of my family member's names and set alight on them? I was thinking of doing an oil lamp for protection, and another for social justice. 3. What should I use for my furry relatives? I'm sure this will be posted many times. I would like many options for person protection and justice for me and my trans queer girlfriend. I also would like justice and protection for all my black, lgbtq, family and sisters and brothers. I have many I love who fit into one or a mix of all of those subgroups. It's sad but I thought this year was the happiest year since I came out and was excepted by my family. My dogs have protection amulets on their collars. Please look at the post above yours for the protection page. Also, justice for what? Can you be more specific, please? Haha thank you! Sometimes I come across things but forget to bookmark them. I did remember seeing this page though. Thank you for the link! Just as a reminder, quoting people with the "quote" button is against forum rules, so please refrain from doing that. Thanks! I'm sorry didn't know. Thank you. Then should quotes be copied and pasted? I've been seeing a lot of results lately. However, looking back I realize that in the past I made the mistake of not protecting my work/results and that is why it would unravel again after some months of peace. I don't want to jump the gun here on my work, but I want to get my supplies in time for the holidays. Need to know I am stocked up properly. I need help on what to get. As you know I have been doing love work on my ex man as well as dark work to drive away bad influences in his life. Things are moving along nicely. Not yet where I want it to be, but going that way finally. What maintenance work can I do once the current phase of my work is completed? Especially to make sure these sickos stay away from me and my man and that he stays sweet on me over them? Hotfoot always worked very well for me when I've been able to place it in their shoes. Unfortunately, the days where I had such access to them has long since gone. Besides, I know I am going to need more than hotfoot to keep this lot away especially during the holidays when they will be indulging heavily in drink and drugs and looking to create more drama. I am very concerned with all the hate and violence toward minorities and other groups targeted by Trump and his followers. I have been praying daily for the protection of all these groups by asking St. Michael the Archangel to protect them and also pleading the Blood of Jesus and the protection of Psalm 91. 2. Stop Trump from destroying the constitution, our democracy, the country and the world. I have nothing to add but the title of this post cracked me up. Reason: Post doesn't add new/helpful information. I just wanted to share with everyone the protection that I used for cleansing my room. I gathered in a spray bottle 3 parts water, 1 part Chinese wash, and tea made with rue, blessed thistle, hyssop. I vaccumed the rug then sprayed it with the spray bottle. I ended with putting blocks of camphor in each corner of my bedroom. I've put a bowl of water with a little bit of salt sitting on a handwritten piece of the Psalms 91 and Psalm 121 for protection and to get rid of nightmares. I burned frankincense on charcoal....but ended up setting off the fire alarm for 25 mins! (Always remember to open the windows beforehand lol) But reasoning is, if I can't breathe, then neither can any intruding negative spirits! All of these techniques together worked! I slept like baby with no disturbing dreams. (Until the dog woke me up, that is) But everyone else in the house doesn't seem to be doing so hot, so I think that I'll use these techniques on the rest of the home. Thanks Miss Aida! I have a situation where my spouse is an addict. He started hanging around people who sell narcotics in 2009 through his employment. He is now very aggressive, violent and crazy. I am very afraid of my spouse. I would like to get the dealers out of our lives and protect myself from them as well as my spouse. I also would like to protect what little money I have. I have thought about doing vinegar jars on my spouse and the dealers and have frozen the dealers out of access to narcotics. The freezer spells seem to be working slowly. I am in need of help. I'm really worried when you say you're afraid of your spouse though. If he is hurting you, don't turn to magic first--CALL THE POLICE. Take care and stay safe, let us know if there's anything else we can do. I do so many protection spells but I seem to be on the receiving end of men wanting everyone to know they dated me and I don't understand why I tried to protect as much as possible but that never stopped them from telling everyone, I just only dated 2 people in 8 yrs and this is what I get and I don't understand why some women can just happily have dates I cant, I feel I'm trapped if I do its public news. My apartment building was recently hit by possible postal theft. Our postal boxes are all broken, and I am concerned because I had been away from my place for some time, so there was some post of mine still in the box. What can I do to prevent any harm befalling my personal data on a spiritual level? I am calling my bank, experian and setting up a PO box because we have had ID theft before and this is just ridiculous. Has anybody notified the postmaster about this? I ask because tis is a Federal offense in the USA. Hoping this is the right area. I have a situation where I live, and I am moving in a couple of weeks. I have neighbors who are friends with my estranged husband, and his bad behaviors. I feel every time I leave my home, they are laying something down to cross me up or have bad luck. I have done work against my estranged husband to keep things off, because he's miserable, angry, jealousy, and wants me to lose everything. But God has ordained it not to happen. The neighbors he was flirting with keep looking over here, and watching and I hear whispers as well. I live in an apartment, so it's not ideal for lots of work, but I've done some protection, and conjure egg etc... to throw back any misfortune or enemies. I use to lay out black salt to drive bad neighbors away, but it has become more complex in the matter as far as the way our buildings are, and I'm on the second floor. I keep my cleansing and anointing up, but it is getting old and tiresome. I just need to keep us well guarded until we move in the next 2 to 3 weeks. What can I do that will stick for long periods of time, say a week, and then repeat?